October 7, 2016 27 Comments This post may contain affiliate links. I am about to say four words that are hard to let loose…I made a mistake. It gets some massive wear and tear. It’s luxurious loops have become matted and flattened. It sheds worse than any animal I’ve ever owned. 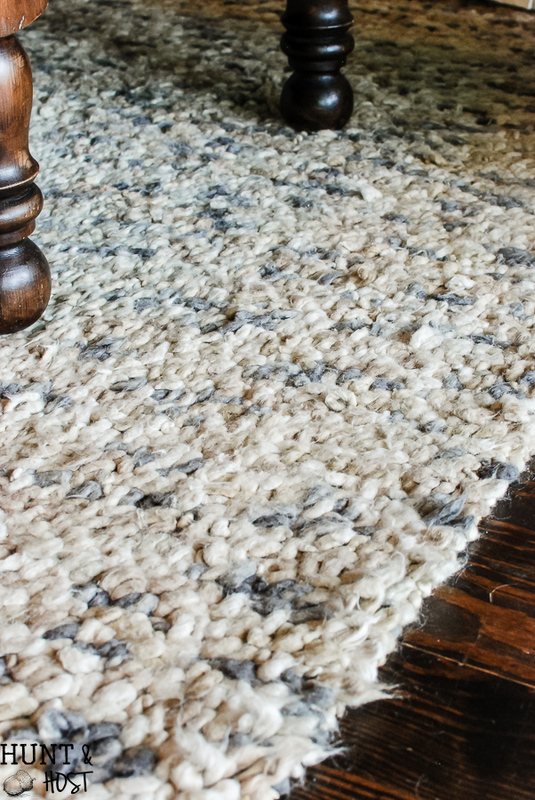 This rug is what we refer to as a 50 yard line-er…It only looks good from 50 yards away. Sure the color and idea of it work, but at this point the pros don’t outweigh the cons. I am excited to tell you that I will be working with The Home Decorator’s Collection on fixing the current state of our rug situation. I decided to partner with them because they have an amazing selection of choices and prices I can live with. 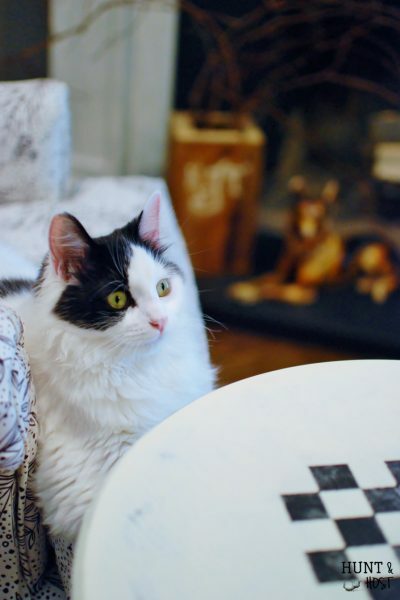 I have included affiliate links in case you’re in the market for a rug too (that just means if you purchase through the link provided I would get a small commission, your price stays the same. All opinions are honest and my own). I am looking for an 8X11ish size rug, so all links will be to that size! 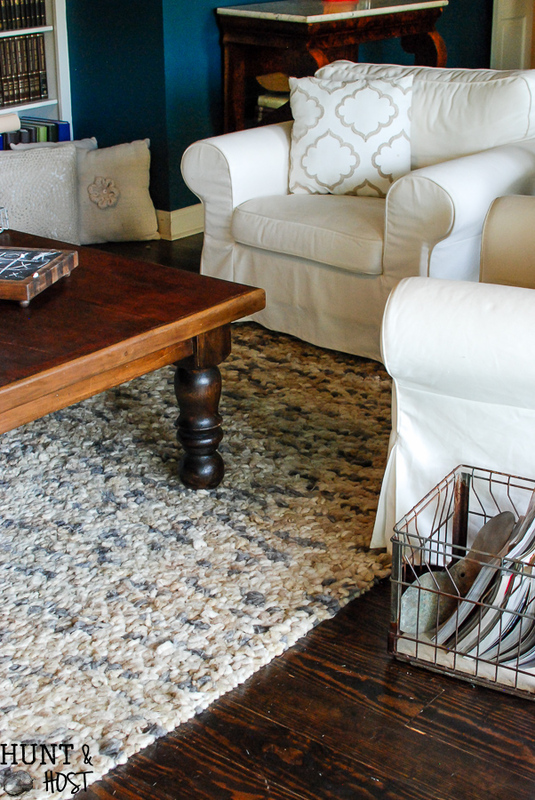 Picking a neutral rug can seem kind of boring when there are so many fun patterns and colors available these days, but I have a game plan in mind. Layering rugs is a look I love. 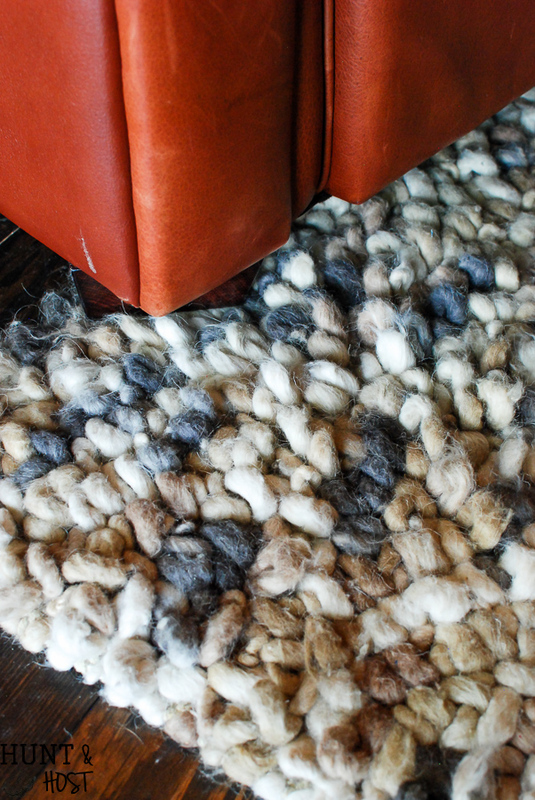 It’s also an affordable way to change up your rug arrangement without breaking the bank. 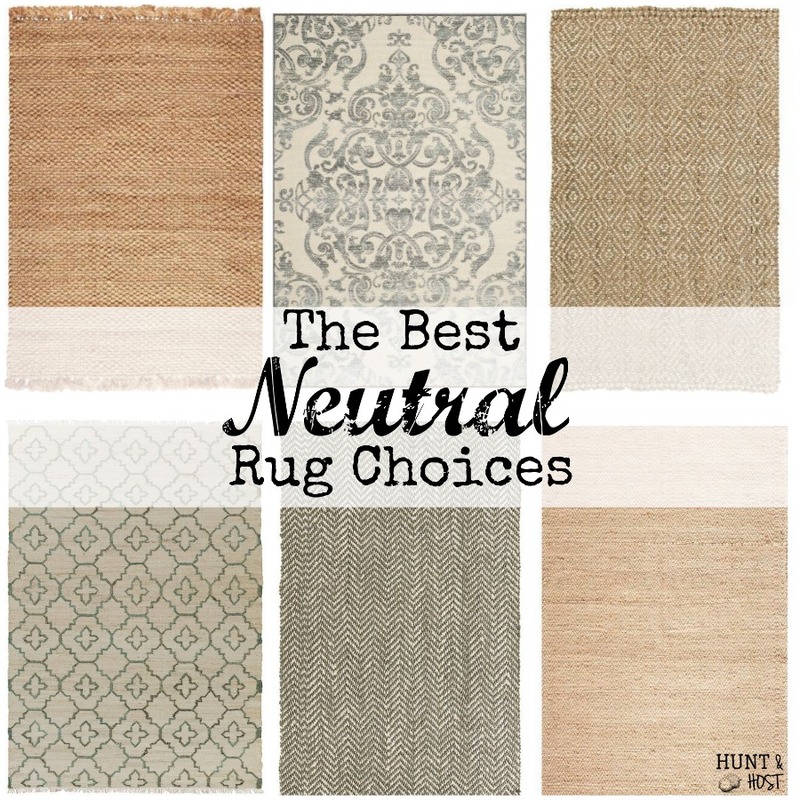 If you start with a good neutral you can add a smaller (much less expensive) trendy or even seasonal rug on top. I promise the little rug will go out of fashion way before your classic neutral! We have layered rugs in our guest house and it makes me smile every time I walk in there! Once I get settled on a base rug I will be on the lookout for a fun look to add on top. 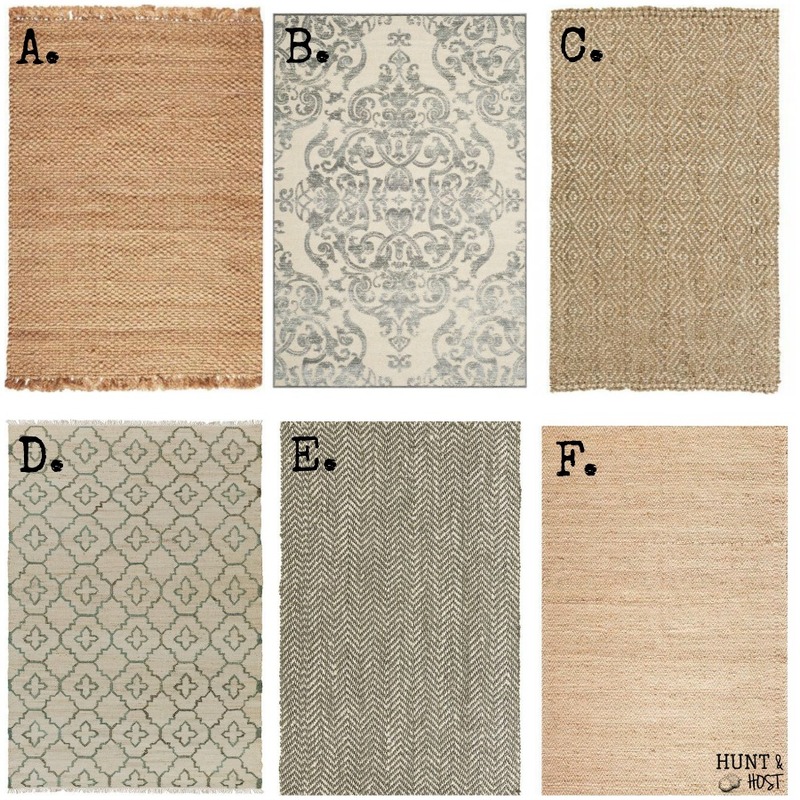 Here are my favorite neutral rug choices, be sure to let me know which one you think we should go with : A. Premium Braided Jute Area Rug – A classic staple, perfect for layering, the color goes with anything, can be dressed up or down. I love the fringed ends! 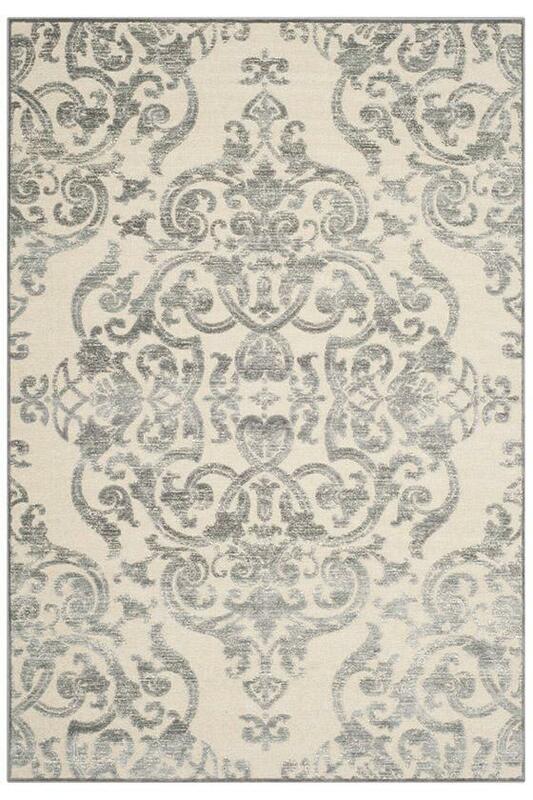 B. Ritz Damask Area Rug – A little more formal neutral with a pattern that never goes out of style. 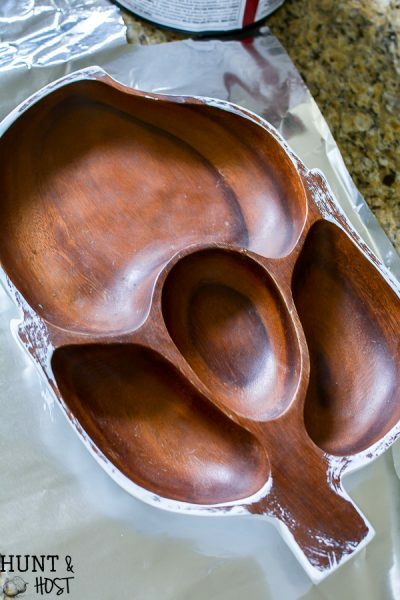 It comes in a few different colors, this one works for my space. Harder to layer, but a showstopper on it’s own. 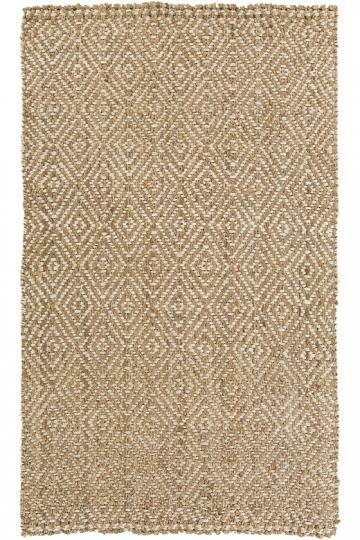 C. The Vizier Area Jute Rug– Classic neutral natural fiber that is perfect for almost any décor. 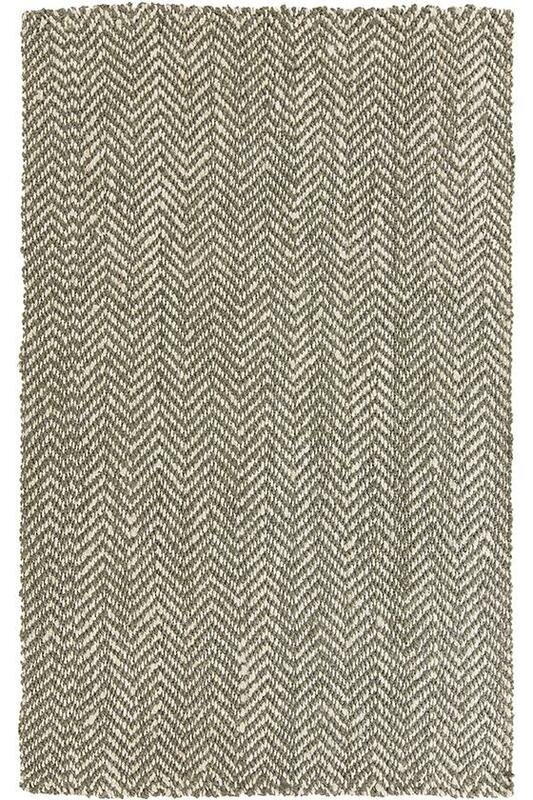 Great for layering, subtle design to make it a less obvious choice than a plain jute rug. I vote for the zig zag rug! Think it would work best and great for layering! When it comes to big pieces like area rugs I always go with something that sort of blends in, isn’t too trendy, and won’t “grab” dirt and hair. Of course we have a dog and I swear I found one of his hairs that was 4 inches long! And he’s white. Okay, back to your rug choice. I like the last one. I think (at least for me) the chevron one would either give me a headache or, if I already had a headache, would send me off the deep end! The shield area rug – the pattern is very “now”, but for how long? 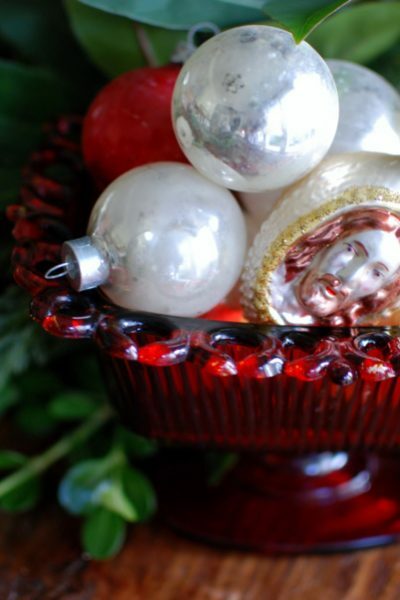 And it is a pretty light color – unless you plan on cleaning spots on it continuously I would forego that choice. The vizier rug is nice. Probably my second choice. The pattern isn’t so much that it sends my head spinning (can you tell I have a history of headaches? ), it is subtle, and the colors are nice and neutral. The damask rug is beautiful, as long as you don’t get tired of the pattern, and once again, background is white – hubby working out on it may become stained and dirty pretty easy. 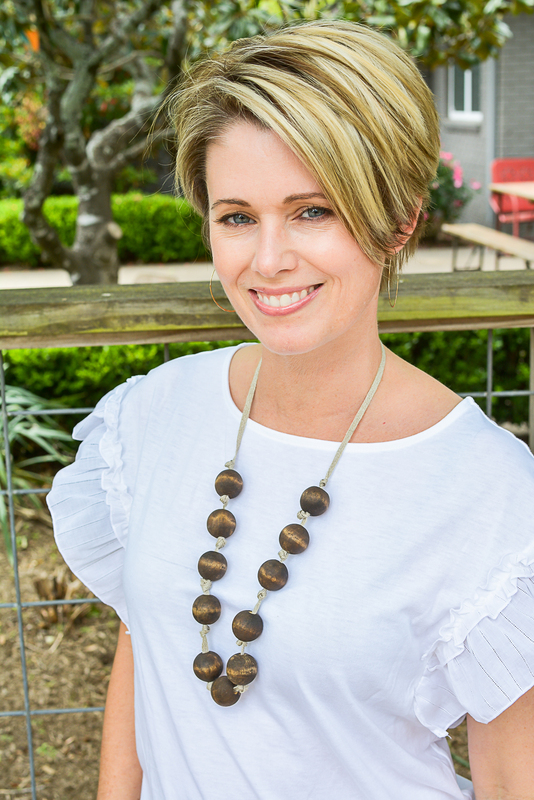 I love A, but the fringe – if you have pets they will play with and pull out the fringe, and it will get tangled in the vacuum! 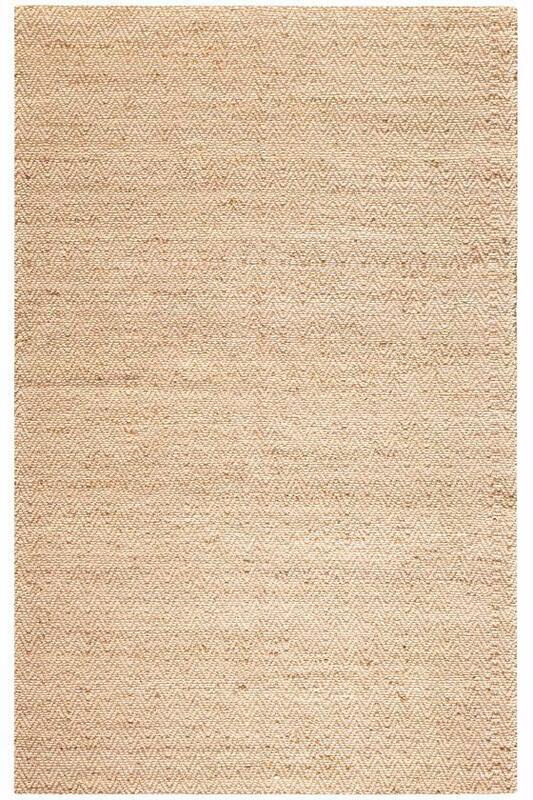 By the way, since I have been looking for a new area rug for months, what is the feel of jute? I know jute itself is pretty rough. 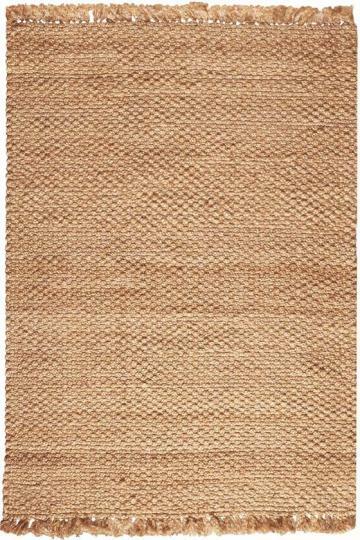 Is a jute rug as rough as jute cord? Ok, I’m going with the last one (F). 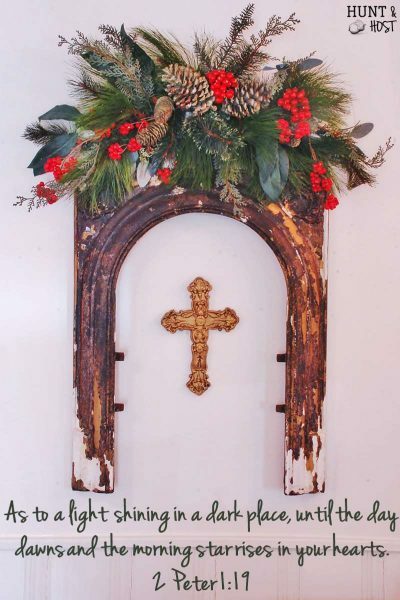 Reasons……I think it’s a lighter tone and will bring ‘light’ to the room. 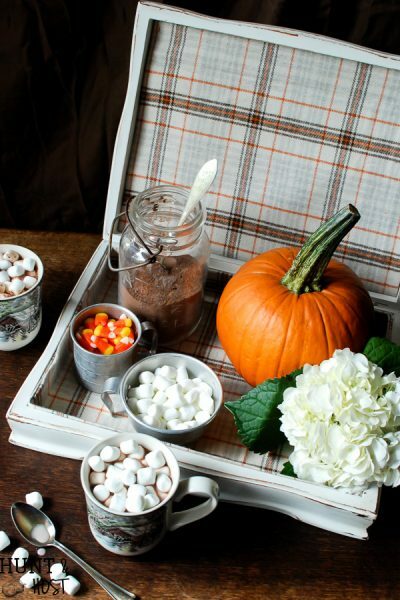 I think it’s timeless and you can bring in ANY pattern to work with it, and you can make a casual room or really dress up the room with this one. I like B—but if you are going to layer something on top, then probably go with a or c–A will probably wear the best—-but I would go with B myself as that one just makes me happy. B. jumps out at me, but I’m that knd of person. I also like F. which I think would be perfect for what you have in mind. So glad to hear that you’re feeling a little better. B is my personal style, too. For your purposes I like E. A little pattern and much texture will keep the rug interesting. Then layering rugs on top sounds awesome. 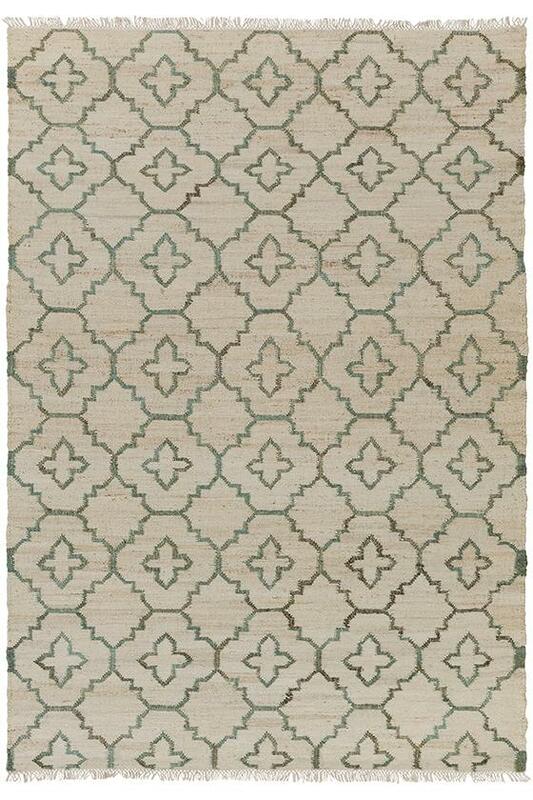 I love the Ritz rug, it is classic, and beautiful, the colors are fabulous! 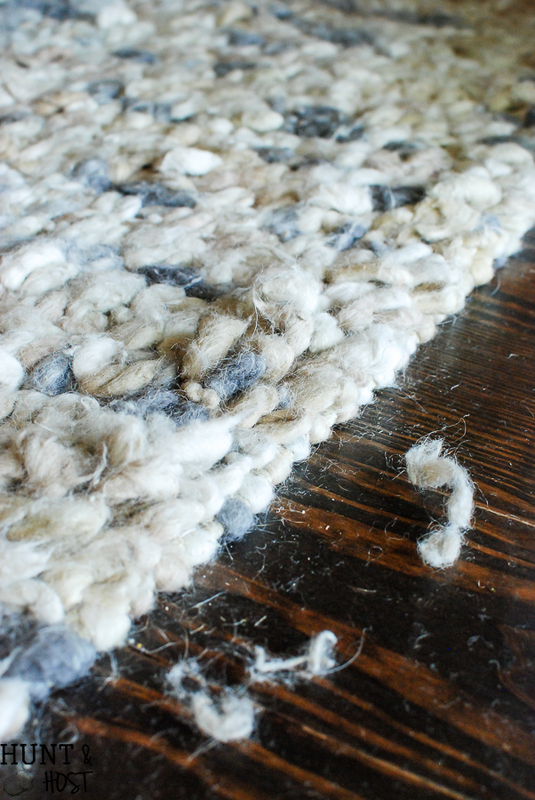 I had a jute rug years ago, and and though they may have changed, the fibers in the one I had broke and shed. Not as badly as the one you have now, but still…. Definitely B. Love that rug!! I love B, with F a close second. Both look like they would lay flat, which I think would be easier to work out on, etc. I love B, for two reasons, one I don’t think it will show dirt like a plain rug tends to do and two you have solid slip covers and a beautiful floor, you need to have some pattern. If this is grey, I can’t tell via computer screen what shade, you can layer with anything other than a wild and crazy pattern!. my personal preference with your present existing nubby rug would be E. looks gray on my screen and gray is definitely the “in” neutral from what I’ve seen! I vote for B!! I’m loving that rug! May even purchase it for my own home! I love B. I have one very similar and I have so many compliments on it. I like C or E, i love my nobby jute rug but,sometimes things get down in between the nubs and i have to get down and vac it with my hose to get it really clean. Now to see what you do and hope i helped. First choice is E. Second choice is B.
I think I’m an F gal…So funny, I need a similar rug for the room that I’m redoing for ORC and trying to decide what kind of neutral rug to get .Thanks for some shopping ideas. I vote Rug B. so pretty! I really like C & D! Sorry to hear your current one didn’t work out – it sure is a beautiful rug, but I know your next one will look amazing in your space, too! Happy shopping! I like C … but we did NOT have good luck wit a jute rug in our second home. It was in the living area which is where we spent all of our time. It spotted easily, was difficult to clean and lasted only 4 years.